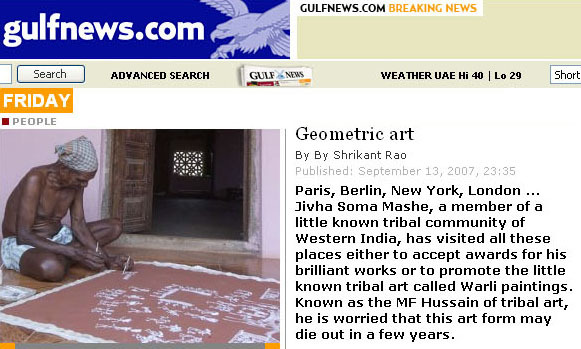 Jivya Soma Mashe belongs to the Warli tribe. 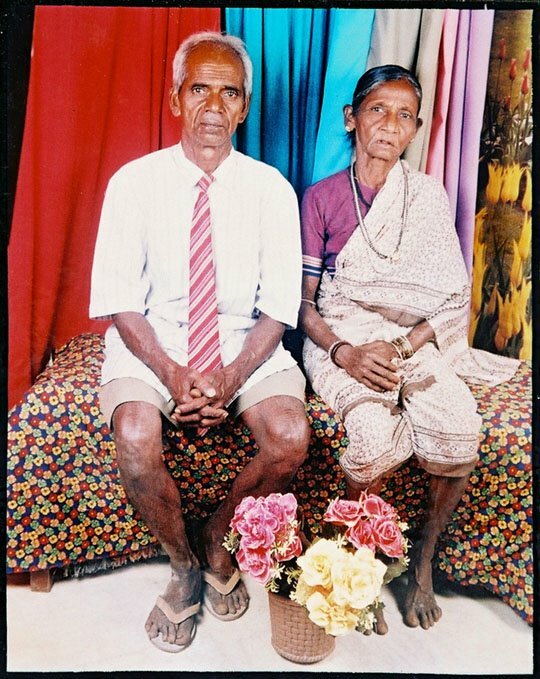 Based in the Thane District, about 150 km north of Bombay, the Warli tribe numbers over 300,000 members. They have their own beliefs, life and customs which have nothing in common with Hinduism. 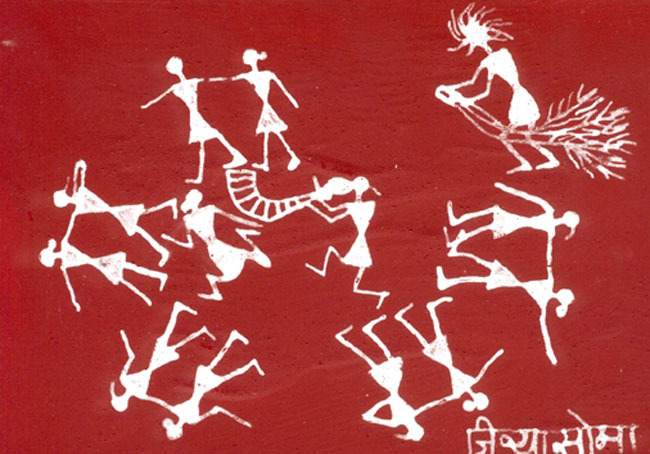 The Warli speak an unwritten dialect mingling Sanskrit, Maharati and Gujarati words. The wall paintings are done only for special occasions such as weddings or harvests. 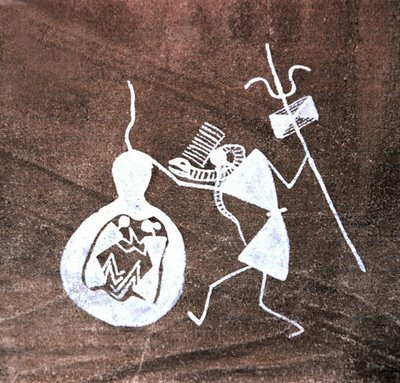 The lack of regular artistic activity explains the very crude style of their paintings, which were the preserve of the womenfolk until the late 1960s. But in the 1970s this ritual art took a radical turn. A man, Jivya Soma Mashe started to paint, not for any special ritual, but on an everyday basis. His talent was soon noticed, first nationally then internationally, bringing unprecedented recognition, which prompted many other young men to follow suit. They started to paint regularly for commercial purposes and so developed skills that won the women¹s admiration. These days, few women paint, and they seem happy to leave the task to the men. Jivya Soma Mashe, "Cauk", 1997, acrylic and cowdung on canvas, 115x146 cm. Jivya Soma Mashe, born at the beginning of the 30s in Sauna Village, has an unusual background. He was abandoned by his family at an early age and refused to speak, communicating only by drawing pictures in the dust. This strange attitude soon won him a special status within his community. 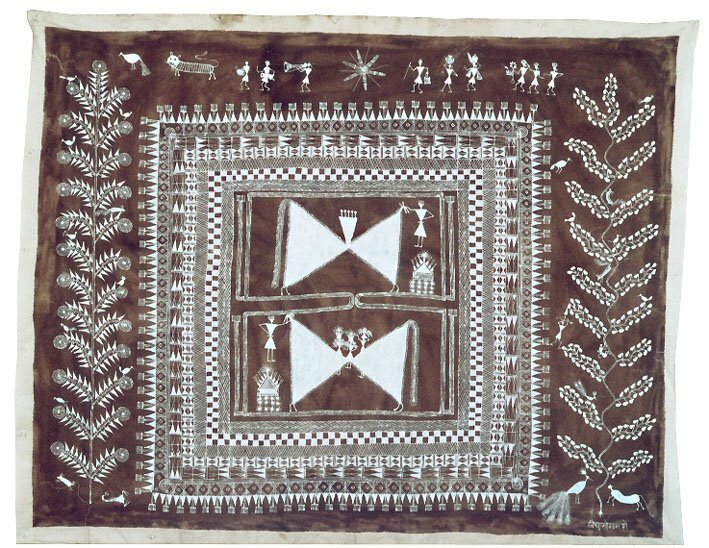 The first government agents sent to preserve and protect Warli art were amazed by his artistic abilities. 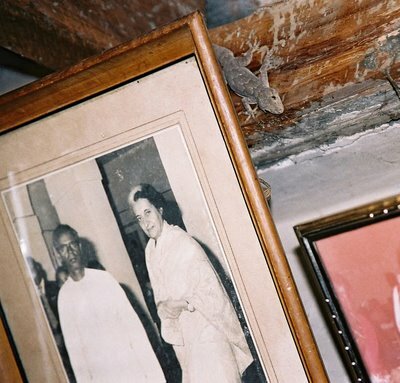 Jivya Soma Mashe shows a heightened sensitivity and unusually powerful imagination, which seem to be the legacy of his early introspective period. Paper and canvas freed him from the constraints of working on rough, sheer walls and he transformed the brusque look of the ephemeral paintings into a free, deeply sensitive style. His sensitivity emerges in every detail of his paintings. Strokes, lines and a mass of dots swarm and vibrate on the canvas, coming together to form clever compositions which reinforce the general impression of vibration. Details and the overall composition both contribute to a sense of life and movement. 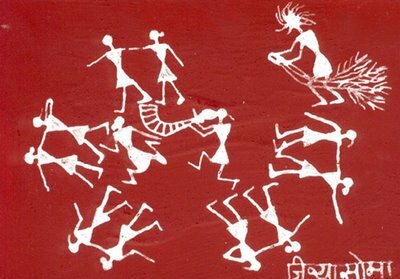 Recurring themes, from tribal life and Warli legends, are also a pretext for celebrating life and movement. « There are human beings, birds, animals, insects, and so on.. Everything moves, day and night. Life is movement ». 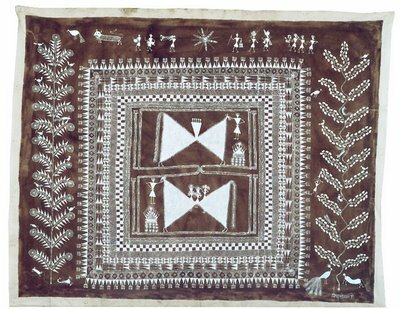 The Warli, adivasi, or the first people, speak to us of ancient times and evoke an ancestral culture. An in-depth study of this culture may give further insight into the cultural and religious foundations of modern India. Jivya Soma Mashe, acrylic and cow dung on canvas, detail. Hervé Perdriolle invite you in his apartment in the heart of the Latin Quarter, near the Sorbonne and the Pantheon - rue Gay Lussac, Paris, to discover his collection of tribal & folk Indian arts, contemporary art and outsider art. Hervé Perdriolle vous invite à venir découvrir sa collection d’art tribal et d’art populaire Indiens, mais aussi d'art contemporain et d'art brut, au cœur du quartier Latin, proche de la Sorbonne et du Panthéon, dans le cadre de son appartement, rue Gay Lussac, Paris. Archives : "The Other Masters"